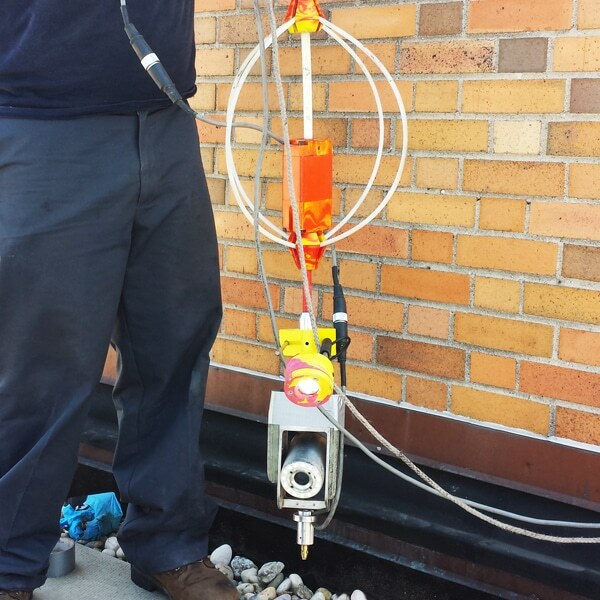 Chimney Inspections | Flue Tech Inc.
FlueTech provides Level 1, 2, and 3 NFPA-recommended chimney and flue inspections. The National Fire Protection Association (NFPA) recommends annual inspection of all fireplaces, chimneys and vents. There are three levels of inspections. Level 1 inspections are conducted during routine cleaning of the chimney flue or upon direct replacement of a connected appliances. This inspection includes readily accessible areas of the chimney, structure and flue. We check for obstructions or combustible deposits in flue, and inspect basic appliance installation and connections. Level 2 inspections are needed to verify the suitability of the chimney for new or changed conditions of services or when a Level I inspection is not sufficient to determine the servicability of the chinmey. Level 2 inspections include all items in a Level 1 inspection plus the proper construction and condition of the chimney structure and all enclosed flues. It also includes inspection of the size and suitability of flues for connected appliances. For Level 2 inspections, our inspectors require access to all accessible portions of the chimney exterior and interior, including areas within accessible attics, crawl spaces and basements, and accessible portions of the appliance and chimney connections. Level 2 inspections include inspection by video scanning or other means of inspection. Pictures from the video scan along with a written report will be sent to the client. Level 3 inspections include all areas of Level 1 and 2 inspections, proper construction and condition of concealed portions of chimney structure and enclosed flues, and proper clearances from combustibles. Our inspectors will require access to all external and internal portions of the chimney structure including concealed areas of the building and chimney. Removal of components of the building or chimney may be necessary only to gain access to areas that are subject of the inspection. Level 1: Included with cleaning or can be purchased alone. Level 2 and 3: Price varies by job. Please contact us for an estimate.